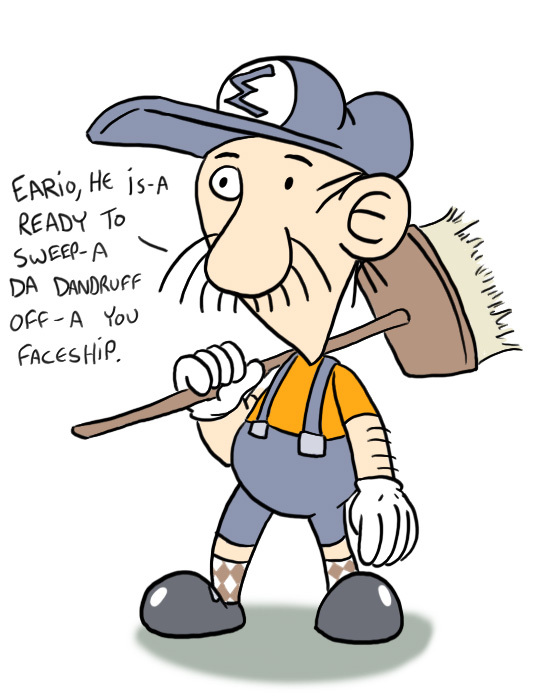 Here’s Eario in color for the curious! The classy steely-blue color was chosen for its similarity to real janitorial uniforms, while the orange reminds me of construction (and isn’t taken by one of the other Mario-like characters in the Mushroom Kingdom). Sorry about the delay for this comic. I had it all ready to go last night…but when I checked my computer for it, it was gone! It seems in my haste to clear up my desktop earlier, I had accidentally saved over it. Aggravated, I went ahead and redrew the whole dang thing from scratch! 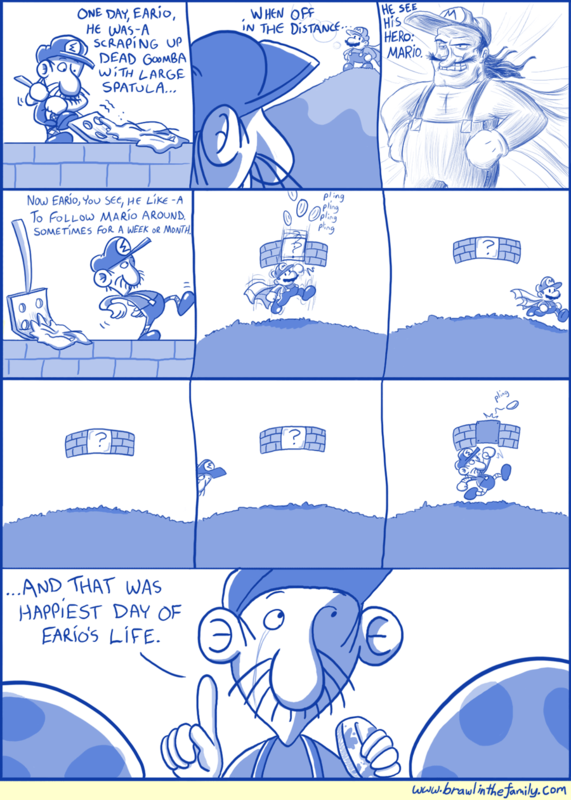 Today’s strip adds a bit of extra strangeness to Eario’s job. Next time you neglect to grab the last coin from a coin box (hey, we’ve all done it from time to time, right? ), remember that you’re making that fellow’s day! Friday will be the conclusion to this brief story, complete with a fully voiced video of all four parts in a row!